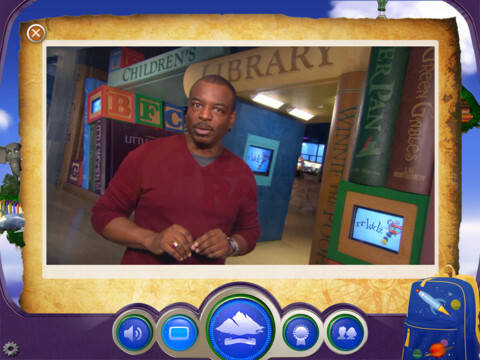 LeVar Burton, actor, activist, and now founder of a tech startup, was on NBC's Late Night With Jimmy Fallon earlier this week to talk about his new app, the old Reading Rainbow show, and so on. It's a fun clip to watch. If you haven't seen any video or images of the new app (I hadn't) then you're in for a treat. The few screenshots posted in this clip remind me of the old Reading Rainbow show. I'm not saying they cloned it; it looks to me like the developers did a good job adapting the idea of the show into the form of an app. I’m waiting till it comes out on a Google Glass- LaForge special edition :). Wow, Geordi almost makes me want to invest in an iPad. And I HATE Apple!! This is wicked, that show was teh awesome, glad to know they really paid attention to how to keep the spirit of the original but take advantage of the new medium.